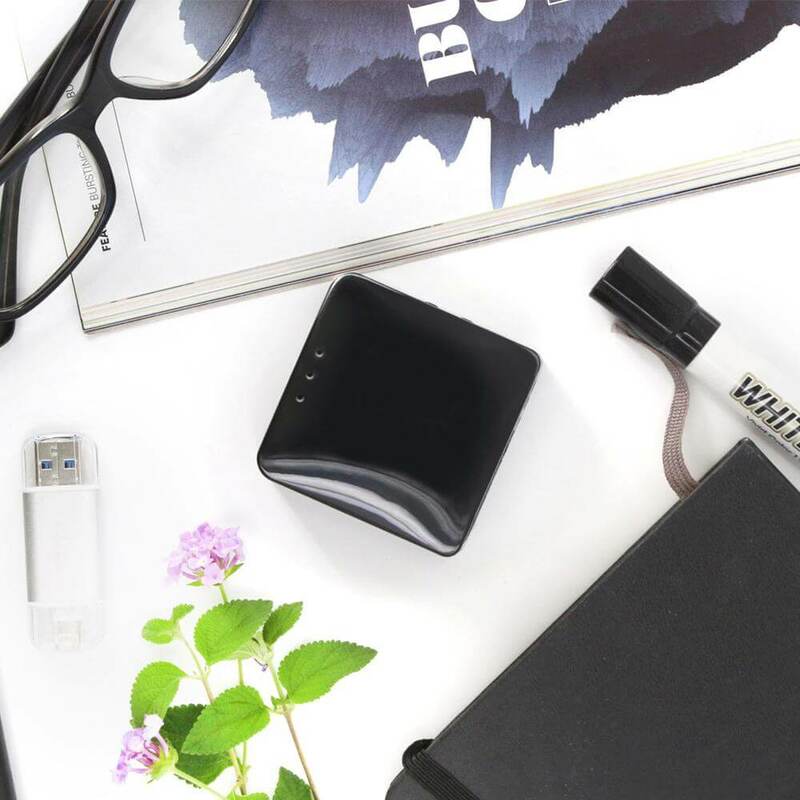 The GL-AR300M mini smart router is the perfect device for the digital nomad, working professional or world traveler. The GL-AR300M is small, powerful and easy to use that comes with OpenWrt firmware preinstalled. The OpenWrt Project is a Linux operating system targeting embedded systems. OpenWrt provides a fully writable file system with package management. This allows you to customize the router using the more than 2000 software packages available in the official repository and many more provided by the community. I first became aware of the GL-AR300M while attending my weekly computer club meeting. “Does it support OpenVPN client?” is the first question I had. Once I learned that it did, I placed my order. When paired with TorGuard’s Streaming Media VPN service and a streaming media device, the GL-AR300M provides the ability to access streaming media from the comfort of my hotel room, no matter where I am in the world, as long as the hotel television has an HDMI port! The other benefit of using OpenVPN is the additional privacy and security benefit it provides by encrypting your traffic. My primary concern was the Qualcomm QCA9531 SoC, 650MHz CPU in the GL-AR300M. Was it powerful enough to provide sufficient download speeds over the OpenVPN connection to avoid buffering issues when watching streaming media when paired with my Amazon Fire TV? From my testing, most of it depends on the network speed of the hotel network. I use the AES-128-GCM cipher and SHA1 hash algorithm to get the best performance when using encryption. However, I’ve had to use the “no encryption” option when the hotel download speeds were problematic if I did experience buffering issues. So be prepared to use no encryption if you are at a location with slow download speeds. I’ve stayed at a few hotels where network connections are limited to two devices per person. The router is able to overcome this restriction. 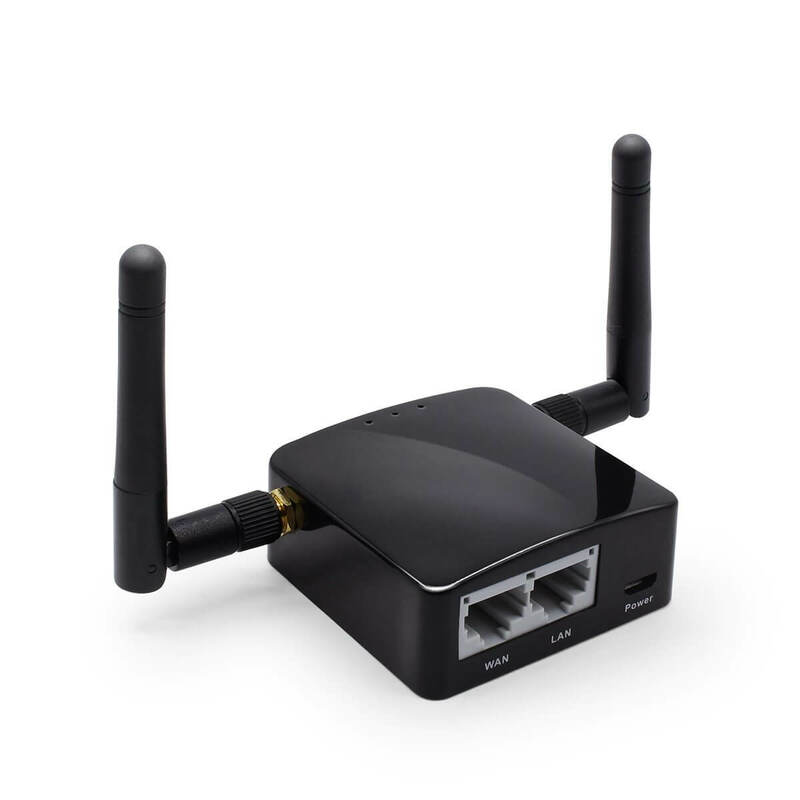 With the GL-AR300M router, you make one connection to the hotel WiFi. The hotel network will only see the one connection from the router. Since all of my devices are configured to connect automatically to my GL-AR300M router, I no longer have to authenticate my devices on the hotel network. 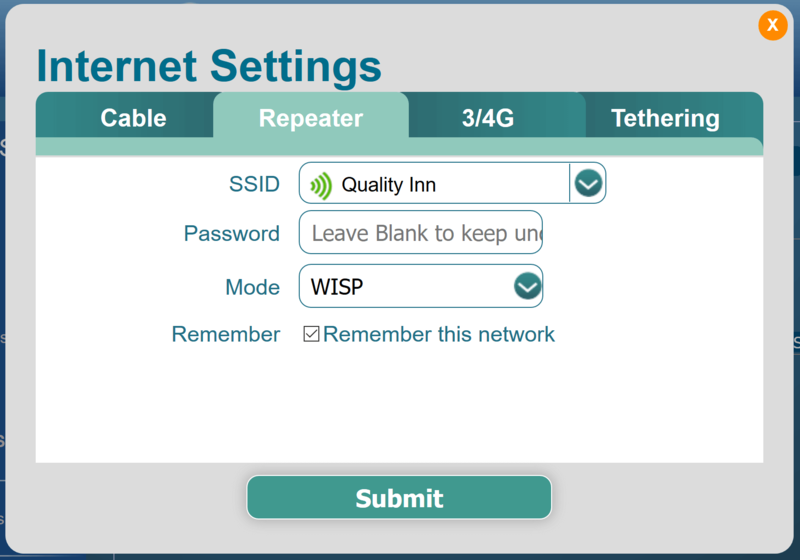 You can connect to the hotel network using the Ethernet port or WiFi connection in Repeater Mode. The AR300M router comes with one WAN port and one LAN port. Using an Ethernet cable is my preferred way to connect the travel router to the hotel network if one exists. I encountered two different methods to connect the travel router to the hotel network during my travels. I refer to these two methods as the SSID Method and the Terms & Conditions Method. This is similar to how most people connect to their home network. 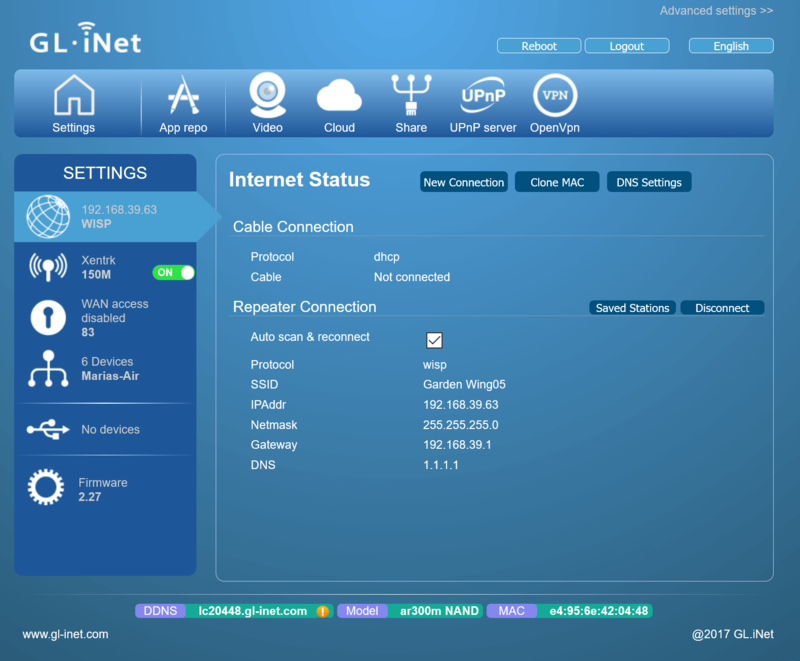 To connect to the internet, you select the SSID from a list of available WiFi networks and provide a password when prompted. Select the New Connection button on the Internet main menu. Select the Repeater tab. Select the hotel SSID from the drop down list. Enter the SSID Password. WISP is the default setting for Mode. Check the Remember this network box. Select Submit. You can view the Repeater Connection information on the Internet Status page. With the Terms & Conditions Method, you select the network SSID from a list of available WiFi Networks. The router is assigned a network lease without having to provide a password. However, you will not be able to access the internet until you agree to the Terms and Conditions of the hotel and provide the password on the Terms & Conditions screen. Performing this process is required for each client. Select the SSID from the drop down list. Leave the Password blank. WISP is the default setting for Mode. Check the Remember this network box. Select Submit. Below the browser menu, you will now see the notification message “You must log into this network before you can access the Internet”. Select the Open Network Login Page in the upper right corner to proceed. Click the checkbox to accept the Terms & Conditions. Enter the Password. Select CONNECT TO THE INTERNET. You will need to do this for all of your devices. In this example, I had to perform this step every 24 hours due to the hotel network policy. When connecting the Amazon Fire TV to the router using the Terms and Conditions Method, you must wait a few seconds for the Terms & Conditions screen to appear. If you have connectivity issues, navigate to the Network Settings Menu on the Amazon Fire TV to obtain a connection status. You may need to press the Menu button on the remote to complete the connection process. If you still can’t connect, restart the Amazon Fire TV . That solved my connectivity issues every time. The OpenWrt firmware update process is easy to perform. The firmware will notify you when a new version is available on the home page. Select the Firmware option from the Settings menu. Select the Download this version option to download the firmware. Once the download has completed, select the Upgrade button to update the firmware. Wait for the update process to complete. Do not turn off the router or refresh the web page while the update is in process. The supplied power cable is a USB-C to USB cable. The USB-C end of the cable connects to the router. You need to supply your own USB Wall Adapter. In addition to a USB Wall Adapter, I recommend including a grounded extension cord with both USB and electrical outlets in your travel kit. Some locations I have traveled to do not have electrical outlets that support a grounded extension cord. A two-prong extension cord is required for these situations. I have used the GL-AR300M travel router on both 110 and 220 voltage during my travels. The GL-AR300M mini smart router is small and lightweight, taking up any minimal space in your luggage. Despite the small size, the GL-AR300M is very powerful. 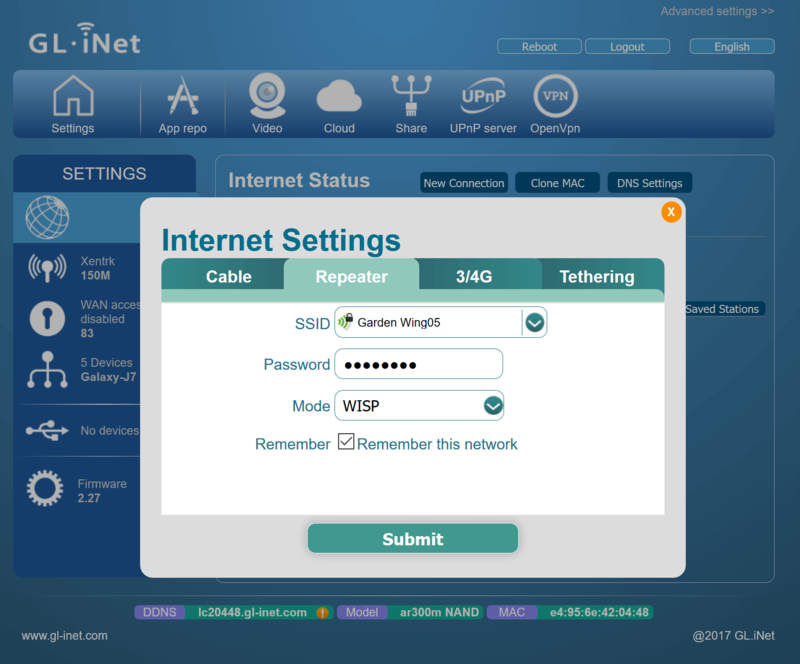 With over 2000 packages available in the OpenWrt firmware, you can customize the router to meet any requirements you have. The OpenVPN client feature will provide a secure connection to the internet when traveling. When paired with TorGuard’s Streaming Media VPN service and a streaming media device, the GL-AR300M provides the ability to access streaming media from the comfort of your hotel room, no matter where in the world your travels take you. 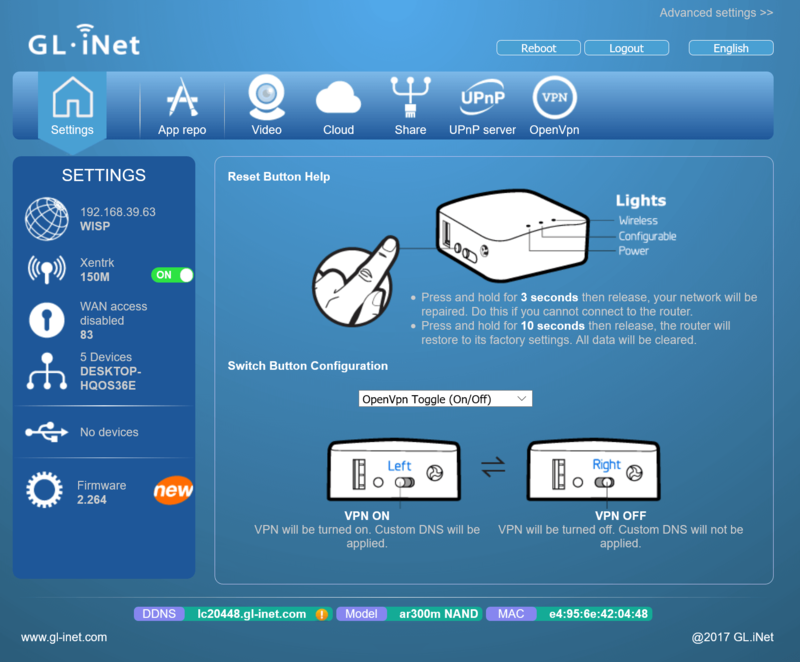 For instructions on how to setup the OpenVPN client using TorGuard’s VPN Service, see my post How to setup the TorGuard OpenVPN Client on the mini GL-iNet Router. Copyright © 2019 x3mtek Blog Site. All rights reserved.